After her smoking success, Smith decided to see if lightning would strike twice. “And in 10 sessions, I completely overcame a life-long debilitating fear of public speaking,” she says. Just days after Smith tells me this story, she leads thousands of people in a group hypnosis session at OZY Fest. 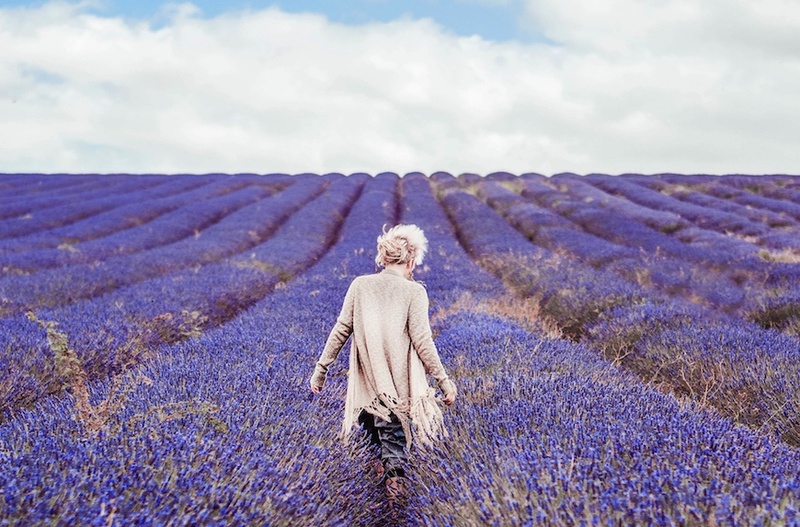 Her personal story makes a compelling case for the power of hypnotherapy, and it’s easy to see why she decided to learn the method herself. (Now, Smith reaches over 70,000 people daily through her eponymous platform.) So, when Smith offers me a complimentary session to tackle an issue of my choosing, I take her up on it. 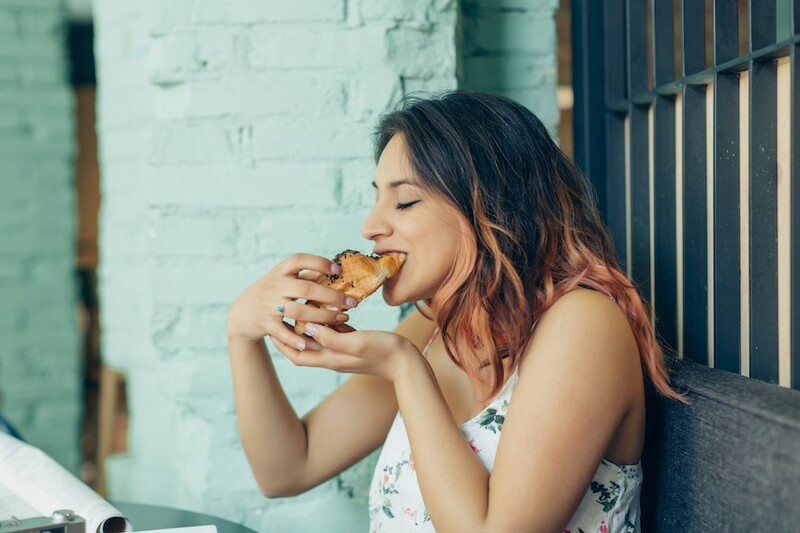 I flip through a mental Rolodex of issues I’d like to vanquish—stress, trouble sleeping, lack of self-confidence—and stop on one that feels measurable and manageable: cutting back on sugar. Our first session, done in one of my office’s conference rooms after hours, starts not with a swinging pocket watch or spoon tinkling against a teacup’s rim, but with a chat. Smith asks me about my current relationship with sugar and sweets (I can’t say no to an office cupcake or 4 p.m. pick-me-up cookie), my family’s relationship with food when I was growing up (fraught, in a word), and goals (eliminating my cravings and being able to turn down a sugary snack when offered one). Then Smith gets out her swinging pocket watch and begins counting down from 100…kidding, there’s still no pocket watch. But the counting, I learn, is real. She also sets my expectations. Her success with quitting smoking after a single session isn’t the norm, Smith cautions me. She cites a 1970 study that found hypnotherapy to be 93 percent effective after six sessions, and says that when she takes on new clients currently, she only does so if they commit to a minimum of 12 sessions (to the tune $15,000—Smith tells me that, as CEO of her company, her personal clients are mostly celebrities and executives, but she has hypnotherapists on her team who charge $100-$150 per session) in order to maximize their chances of success. Then Smith gets out her swinging pocket watch and begins counting down from 100…kidding, there’s still no pocket watch. But the counting, I learn, is real. “Close your eyes, and take a nice, deep, letting-go breath,” she says. It’s like a record scratch in my brain. What? I have no idea what this means or how to visualize it. It’s like a record scratch in my brain. What? I have no idea what this means or how to visualize it. But while my synapses are firing in an attempt to picture something, anything, Smith has already moved on to the next instruction. “What do you call this part of you that wants sugar?” My heart is racing now and my mind is blank: I have no effing idea. “Honey,” I say. And even though Smith is saying, “That’s exactly right,” I know it’s dumb and clearly the wrong answer and now I’ve ruined everything. After the session, I tell Smith that I felt self-conscious, and that I was worried I wasn’t able to fully remain in a hypnotized state. (Subtext: I think I’ve botched it.) She tells me not to worry, that we were working on the subconscious level and that my judgmental thoughts won’t get in the way of the no-sugar seed taking root. But, as much as I want to accept this 15-percent success (which is about how much improvement Smith told me I could realistically expect after one session), I have a gnawing thought at the back of my brain. “It’s not placebo,” Smith says. And when I pose this same question to Dr. Kirsch and Dr. Montgomery, they also say that the placebo effect (“the idea that your brain can convince your body a fake treatment is the real thing,” as Harvard Medical School puts it) and hypnosis are different. But, they both go on to say, placebos and hypnosis work for the same reason. And according to Dr. Montgomery, hypnotherapy and placebo both work because of something he calls an “expectancy mechanism.” Which is really just what it sounds like: You expect that the treatment is gong to work, so it does. “One of the things hypnosis does is it kind of energizes your expectations [for results],” Dr. Montgomery says. “[In studies], we’ll measure expectancies for an outcome before a hypnosis intervention, we’ll do hypnosis, then we’ll measure expectancies after and look how it changes. And then, we’ll correlate that with an outcome—like pain reduction, distress, nausea, or fatigue. 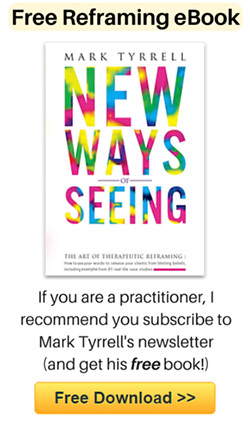 And we can show statistically how the intervention leads to a change in the expectation, which then leads to a change in the outcome.” So, at least by Dr. Montgomery’s way of thinking, I was onto something: My desire for the hypnotherapy to work was contributing to a positive outcome. Am I incapable of being hypnotized? I complete three more sessions with Smith (all done over the phone). And while I find each one helpful—particularly an exercise from the third session, in which we set guidelines for when eating sugar is okay (it has to be just once a day, smaller than five bites, and “at least a little bit special”)—I wasn’t experiencing what I hoped to. Which was: a complete and effortless dissipation of all desire for treats. I know hypnosis isn’t mind control—not only did Smith tell me so, but Dr. Montgomery also named it as the top misconception people have about the practice. But I still thought—hoped—that somehow, I’d be able to drift off while Smith recited Zen-inducing mantras and, by osmosis, I’d absorb the secret to removing my sweet tooth. Instead, I found the participatory aspect of Smith’s method (tell me what you see, repeat after me) anxiety-producing. Before each session, I’d feel a pit grow in my stomach. I’d worry about what she was going to ask me and whether she’d know I was faking my answers—that I was a fraud. 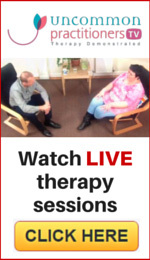 I wondered whether it was possible that hypnotherapy simply wouldn’t work for me. Before each session, I’d feel a pit grow in my stomach. I’d worry about what she was going to ask me and whether she’d know I was faking my answers—that I was a fraud. Smith and I thought we’d agreed on a common goal—quitting sugar—but the farther along in the process we got, the more I discovered I didn’t really want to do it. I like sweets! I like sharing dessert with my husband. And that afternoon treat makes it infinitely easier to get through the workday slog between lunch and logging off. So before our final session, I let Smith know about my reservations. She wasn’t surprised—I have a terrible poker face—but she wasn’t about to let me off the hook so easily. She asked me: What did I think was the root issue here, if it wasn’t the sugar itself? I puzzled it out one step at a time: Cutting out sweets could lead me to a healthier diet, which could lead to weight loss; then, maybe I’d be more confident, and finally, I’d be able to care less about what people think of me. Ding ding ding! I had arrived at my final destination. In the most meta of twists, I realized that the very thing that made me decide hypnosis wasn’t for me—that gut-churning feeling that I was doing it wrong, that my answers were stupid—could, in fact, be the reason I needed it the most. For another take on hypnotherapy, here’s what happened when one editor tried it to get over a breakup. And if sugar is your problem, too, here’s a step-by-step guide to cutting out the sweet stuff.